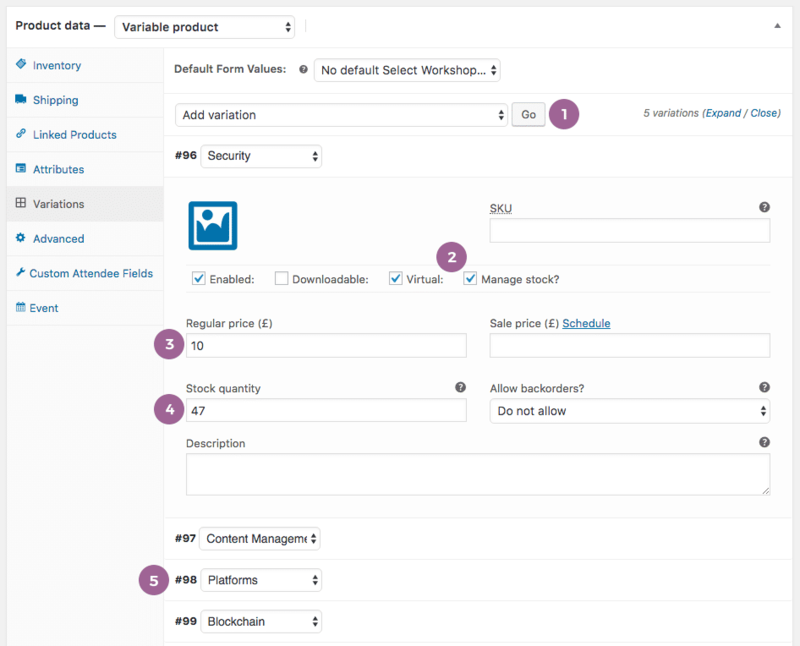 The WooCommerce attributes and variations functionality allows you to easily sell tickets for different workshops, sessions and groups. In this tutorial, we’re going to create an event that includes 5 different workshops, each able to accommodate 50 attendees. Attendees will purchase a ticket for the main event and specify which workshops they would like to attend. There will be 250 tickets available in total. Go to the variations tab and select Create variations from all attributes from the Add variations drop down menu. Click Go to create the variations. Attendees can purchase a ticket and specify which workshop they would like to attend. Each time a ticket is purchased, the stock for the relevant workshop will be reduced which avoids overbooking. The product page will display the price of the individual workshop as well as the number of stock/spaces available for that particular workshop. The workshop that the attendee selects will also be displayed on their ticket, in the check-ins apps as well as on the attendee CSV export. 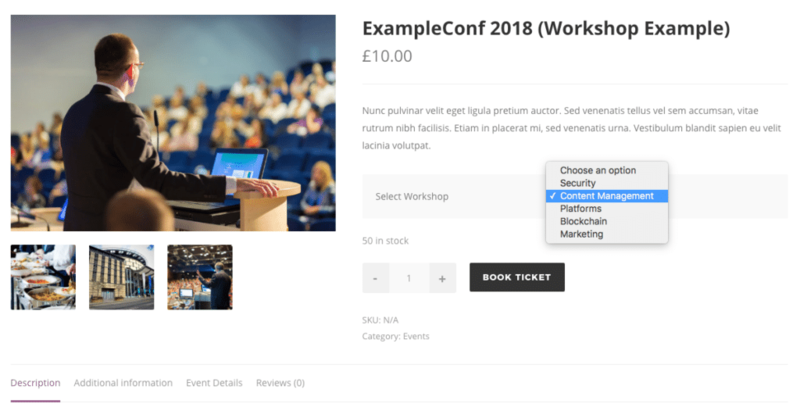 You can also use the FooEvents Custom Attendee Fields plugin to add additional custom fields that each attendee can complete when purchasing a ticket. This is useful for acquiring additional information from attendees such as clothing sizes, meal preferences, demographic information, waiver acceptance etc. The options are virtually endless!